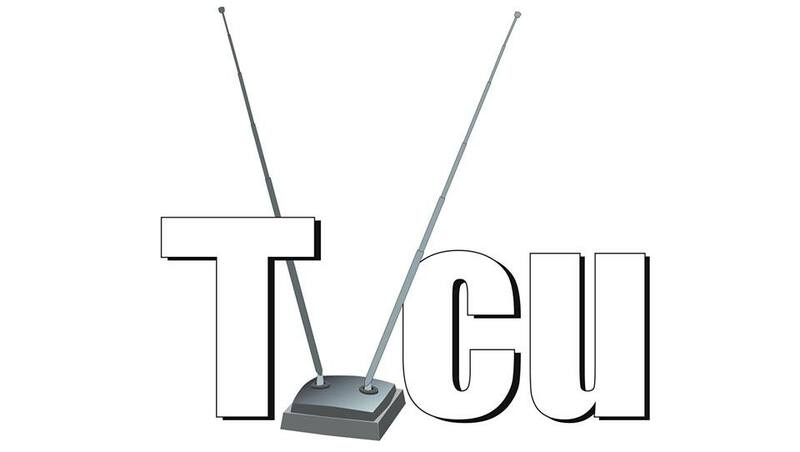 This is my first in a series of blogs that will cover the appearances of real people in the TVCU. Like most alternate realities, all people that exist in our universe (the Real Universe) seem to have doppelgangers in all other realities. However, in some cases, the lives end up being slightly divergent, based on interactions with characters who would be considered fictional in the Real Universe. Today I'm going to talk about the father of our country and his missus. 1775--THE JACK BENNY PROGRAM--According to Lucille Ball, the story of how Paul Revere's wife Rachel was more instrumental in American history than our textbooks say. Of course George Washington appears in the story as well. 1776--HOW I MET YOUR MOTHER--"The Goat"--According to Barney Stinson, George Washington and the other founding fathers drafted the original copy of the Bro Code. Summer 1869--THE WILD WILD WEST (FILM)--Secret Service agents James Douglas Henry and Barton Swift stop the evil plans of Dr. Arliss Loveless. At a costume party, a man is dressed at George Washington. October 1989--THE SUPER MARIO BROS. SUPER SHOW!--"George Washington Slept Here"--Apparently, he did. October 1990--SIMPSONS--"Bart Gets an F"--Imaginary appearance of George Washington. 1991--BILL & TED'S BOGUS JOURNEY--The two encounter Washington. George Washington encounters the the time travelling duo again in BILL & TED'S EXCELLENT VIDEO GAME ADVENTURE. Originally, I had this in alternate realities, but then James Bojaciuk set me straight. February 1996--SIMPSONS--"Lisa the Iconoclast"--Another hallucination of George Washington. December 2003--AQUA TEEN HUNGER FORCE--"The Cloning"--Sigh. I used to put this in the Tooniverse, but I just learned this show is in from a connection to Space Ghost who is connected to the Herculoids who have two members of the Shmoo race as members, and a Shmoo was in Bedrock, home of Ollu and Buzsla, who I recently did a blog on. I'm not sure if there is an origin for this team. If there isn't then I'm going to say there was some kind of incident with radioactive material that mutated food at a fast food restaurant, and imprinted the personalities of three deceased employees onto the new beings. Anyways...in this episode a George Washington clone is created. 2008--AN AMERICAN CAROL--Filmmaker Michael Malone wants to abolish Independence Day because he hates America. One night, after he refuses to see his nephew off who has just joined the military, Malone is visited by the spirits of George Patton, George Washington, and Trace Adkins (who is apparently recently deceased at this time in the TVCU). They teach Malone the fruits of patriotism, just wars, and pacifism. April 2011--DAN VS.--"Dan vs. George Washington"--Dan is harassed by the ghost of Washington. There's no real crossover placing Dan Vs. in the TVCU, but Dan has encountered Pinkie Pie from the My Little Pony dimension of Equestria, so it's pretty likely Dan is in the TVCU. February 3000--FUTURAMA--"Put Your Head on My Shoulders"--George Washington's head is preserved, alive and animated, in a jar. Since Washington died in 1799, sometime between our time and the year 3000 we must have found a way to reanimate the dead, just as they once were before death, but only can preserve the heads in a jar. In the 31st century, only famous people from the past were preserved, which means that heads were preserved only if the person could afford it, or for historical preservation reasons. Washington will appear again in "The Day the Earth Stood Stupid", "A Head in the Polls", "All the Presidents' Heads". CINEVERSE--Too numerous to list. Basically any fictional live-action movie not listed elsewhere in this blog occurs here. EARTH-PRIME--Too numerous to list. Basically any non-fiction movie or television series not listed elsewhere in this blog occurs here. FAIRLY ODD UNIVERSE--George Washington has appeared on the Fairly Odd Parents. The Fairly Oddparents consists of an animated series and a live action TV movie (which has the lead Timmy Turner aged into teenhood.) The show has had one cross, with Jimmy Neutron, where in the crossover, they are shown to be in different alternate realities. Jimmy has crossed with other Looniverse shows, so we know Neutron is Looniverse. So Timmy Turner is not from the Looniverse. It could be he's from the TVCU, but there's no crossover link yet to establish that. LOONIVERSE--George Washington appears in TINY TOON ADVENTURES, but as part of the ACME ACRES ZONE, which is like the TWILIGHT ZONE, only loonier. On DEXTER'S LABORATORY, Dexter brings the Mount Rushmore sculpture of George Washington to life. Note that there is contradictory evidence and thus valid arguments for placement of Dexter's Laboratory in either the Looniverse or the TVCU. Some day I will make the call when I do a Cartoon Network blog. ROBOT CHICKEN UNIVERSE--Yup, are you surprised? SKITLANDIA--In this reality, George Washington was pulled forward in time to the 21st century to explain to modern politicians exactly what the forefathers had intended. He was pulled from the years of his presidency. 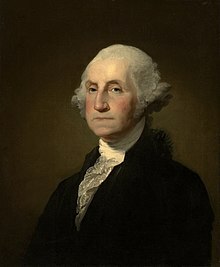 Washington goes into shock over the strange events and attacks and is then killed, altering history so the British had retaken control of America. He also appears on MIND OF MENCIA, apparently at a stage before his untimely death. TOOBWORLD--Too numerous to list. Basically any fictional live action television series not listed elsewhere in this blog occurs here. TOONIVERSE--This is where any animated story takes place unless it's mentioned elsewhere in this blog. VIDEO GAME UNIVERSE--Any video game appearances not listed elsewhere in this blog occur here.